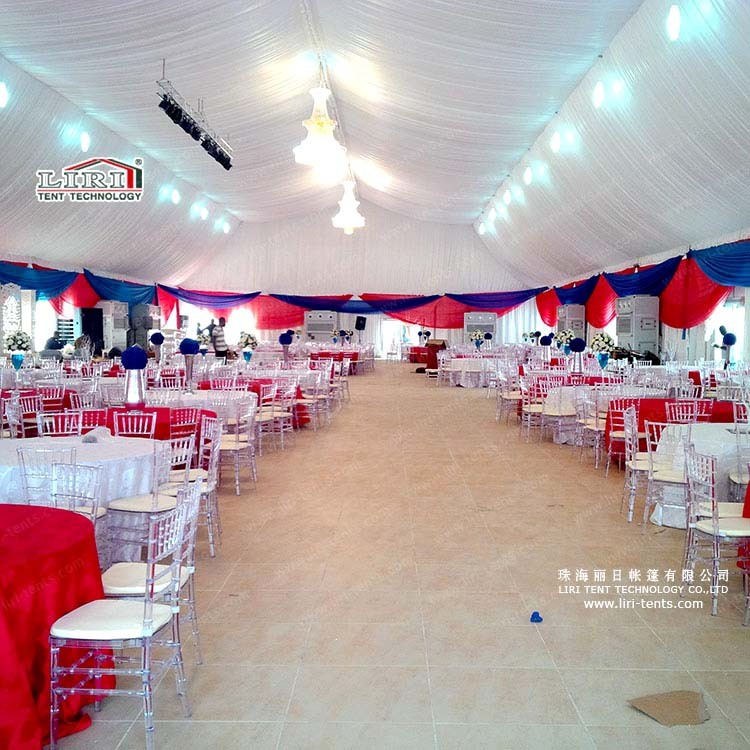 20x50m polygon tent with PVC roof cover for 1000 people wedding party is hot sale now. The side height is 4m and the top height is 9.42m, while bay distance is 5m. 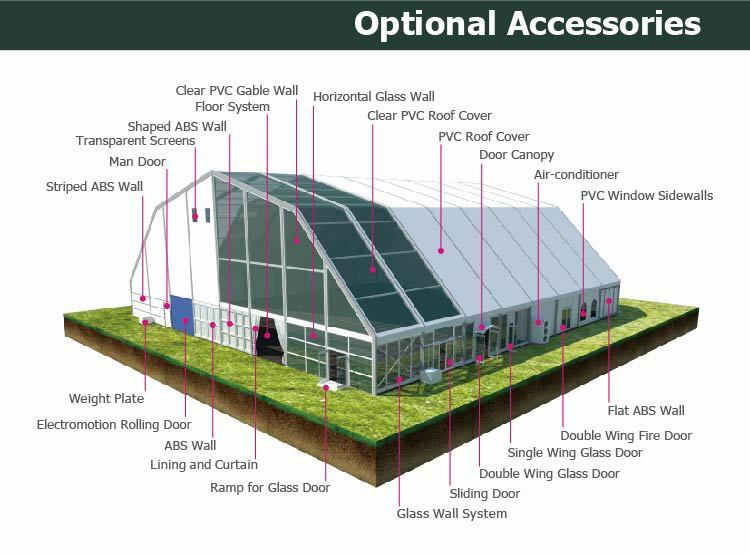 All of our tents are modulr design make it possible to increase or decrease 5m per bay. LIRI TENT, a leading manufacturer offers a variety of colors, patterns, sizes and shapes to meet the need of your event at affordable rates. Luxury event tents give an event a completely new feel and your guests will simply love the experience. The clear-span width of our tents are from 3m to 80m with unlimited length, made by hard pressed extruded anodized aluminum alloy frame and fire retardant and water proof PVC. 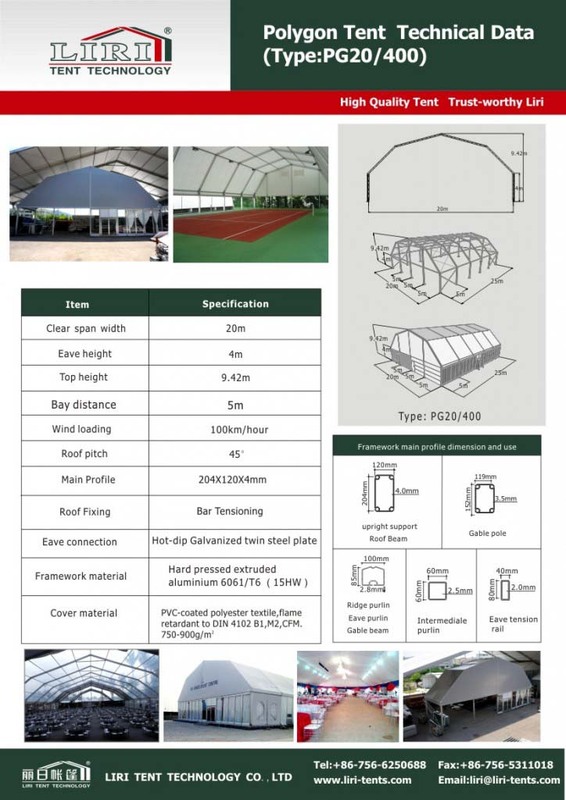 Here is our technical data of 20m clear span polygon tent for your reference.